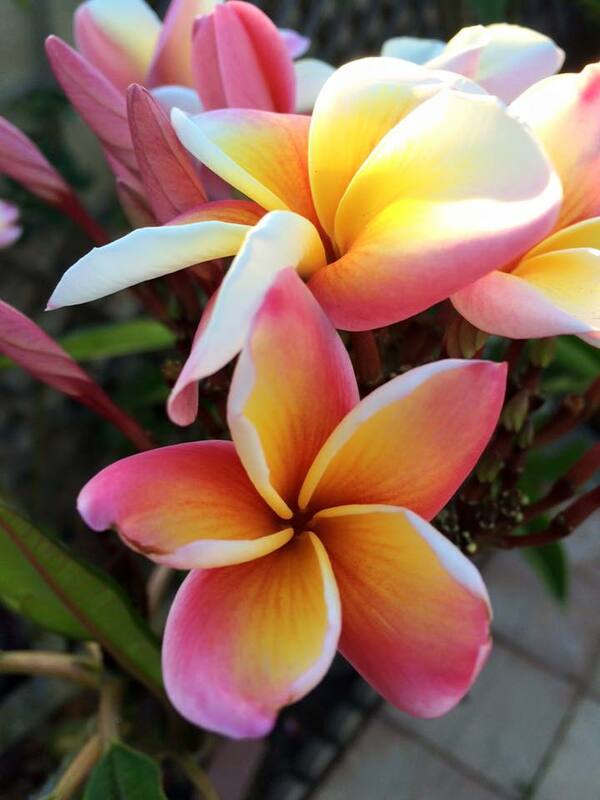 Kimi’s Rainbow seedling from Kimi’s Plumeria in Corona, CA and was named for Jack Morgan’s daughter, Kimberly. Amazing variation of color depending on the temperatures. The colors even change depending on which side of the tree the flowers are on. Last year we witnessed a buttery yellow bloom on the shaded side of the tree and hot pink on the side in full sun. The growth habit is compact.